Accessory Power is proud to sponsor organizations that are helping to make a difference in the world. Here at Accessory Power, we value community, hard work, and dedication. We feel it is our responsibility to demonstrate these core values beyond the work place. By working hand in hand with various organizations we feel proud to offer our support. It is important to incorporate our charitable efforts into our products and corporate events as well. In the past we have sponsored a range of charities including Pandas International, Ride 2 Recovery, and Operation Gratitude. We strive to continue on our mission to improve the world around us. 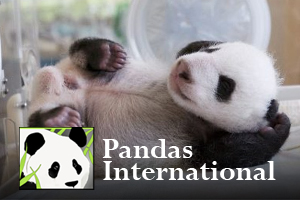 Pandas International is a non-profit organization whose mission is to ensure the preservation and propagation of the endangered Giant Panda. 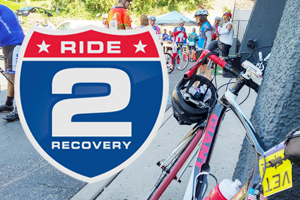 Ride 2 Recovery is a groundbreaking program that helps to restore hope and purpose in U.S. Veterans by raising awareness and funding for the R2R Program and connecting Veterans with riders in the local community. Operation Gratitude sends care packages to U.S. Service Members and Veterans across the world. Accessory Power supported Tom Connolly's journey across America as part of Operation Gratitude. 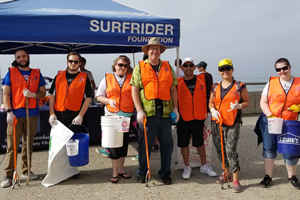 Accessory Power is proud to support the Surfrider Foundation in their mission to protect and enjoy the world's ocean, waves and beaches.